Why Your Financial Journey Begins With YOU! As you read this, you are probably facing some type of financial challenge but don’t know where to go or what to do to find the answers you need to move past this issue. Even I, as a financial coach, face numerous challenges everyday in both my personal life and in this business I own. The difference is, I usually know where to go to find the answers I need to move forward with my financial journey. I have taken the steps necessary to educate myself in financial literacy topics and stay on top of the latest economic trends. Usually when I meet a prospective client, they tell me that they just don’t know HOW to remove or resolve the financial challenge they are facing. But none of them can tell me why they need to resolve their difficult situation. 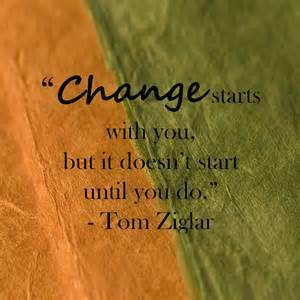 Asking why…is what will develop the behavior change that is ALWAYS needed to move forward with progress. Without understanding the WHY, the HOW will never be implemented. Once you recognize why you need to eliminate your debt, or save 3 to 6 months of emergency savings, or buy a used car for cash, you will have the power to implement the how. Proper coaching is a methodical approach, with a personal touch. If done correctly, it will produce exponential results and change the way you look at money forever. You will no longer think about credit card reliance, running out of money before the month end, or using things as a status symbol to impress others who really don’t care. Once you’re focused on you and understand WHY you should implement actions in a certain way, a behavior change will follow. You will become the person you have always wanted to be and live your life practicing sound financial decision making. You will no longer need to expend the energy that was previously needed to survive your financial quagmire. Financial Freedom can be achieved with the understanding that the WHY needs to precede the HOW. Understanding the How was very important to me taking control of my finances.